The attitudinal approach to measuring brand equity is highly common in marketing research. 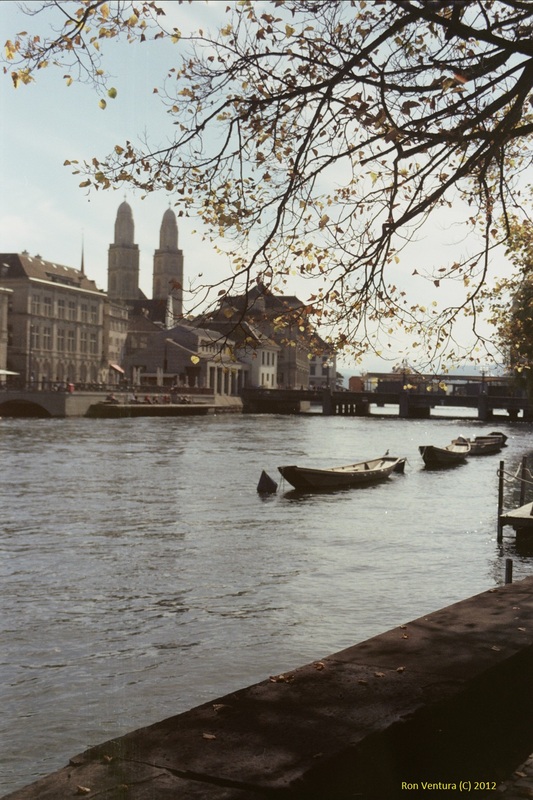 It essentially aims to reflect the subjective disposition of consumers towards a brand as a concept which goes beyond the physical product or functional services offered under its name and symbols — how much power a brand has in attracting a consumer before he or she considers the features of any particular product item from that brand? In an attitudinal approach we broadly include constructs such as beliefs, evaluations, attitudes, intentions or inclinations to behave in a given way that favours the brand (though not evidence of actions themselves as measured and analysed in a behavioural approach). Our goal is to understand and assess how consumers hold brands in their minds. Most appropriately, the brand equity of a focal brand should be assessed relative to its competing brands in the same product or service category. However, when companies track measures of brand equity to monitor and evaluate how brands they own evolve and strengthen over time, managers often find out that brand equity, from the customer perspective, rises in a rather slow pace or not at all. And even when some measures of brand equity show a sharp increase (e.g., following a TV advertising campaign), the improvement upwards often dissipates after a short while, partially or completely. Therefore, a trend of growth can be difficult to detect in a short time span, and for some brands it is not possible. This may be quite disappointing or frustrating for managers, particularly if they do not understand the measures and don’t know how to work with them. Attitudinal models of brand equity normally are composed of multiple measures that correspond to aspects or layers like brand image, emotional attachment to the brand, and committment. These are frequently regarded as contributors to greater customer-based brand equity. In a hierarchical model, one may concentrate on ‘commitment’ as the highest and ultimate level of brand equity where a customer can reach his or her strongest bonding with a brand. But this solution may not be appropriate for all brands. A brand owner should choose the appropriate metrics considering the product/service type, its own business strategy and objectives, and the company’s resources. The chart below suggests three scenarios as to how this metric of brand equity may evolve over a period of five years (monthly). The curve lines presented here are hypothetical (i.e. simulated) but are based on experiences of real-world phenomena. Scenario 1 suggests a stairway-like path of the attachment metric. In this scenario a favourable shift in attitude towards the brand relies on discrete events, particularly image-building advertising campaigns. It is likely to rise in a lag or delay after a campaign commences while its effect usually weakens several weeks after the campaign ends. The metric either flattens or descends back to a level between prior to the campaign and the recent peak in the brand equity metric. If a company aims to boost its brand like that, it has to launch an advertising campaign once every few months to refresh and enforce the brand’s image in consumers’ minds. Trying to achieve a more continuous climb in brand attachment would require more frequent ad campaigns which can be too expensive and exhaustive for many companies. With time the impact of such campaigns is also likely to dampen. Actually the stronger brands do not need to advertise too often to retain their top stature. Yet consumers in recent decades obtain information about brands from more sources (e.g., Internet content of various types, friends, media reports), they are increasingly alert to stimuli they are exposed to in retail outlets, and are more sensitive to their direct service experiences when interacting with companies. In other words, events are happening all the time and customer relationships with brands and companies are continuous. That implies that growing the brand’s equity more continuously and smoothly over time, as depicted by Scenario 2, demands brand managers to be attentive all the time to events, especially episodes involving customers, and to be proactive. Management has to respond promptly with corrective measures to negative events that become public, and on the other hand initiate events and activities that remind customers of the positive things the company can do and thus solidify the relationships with them. 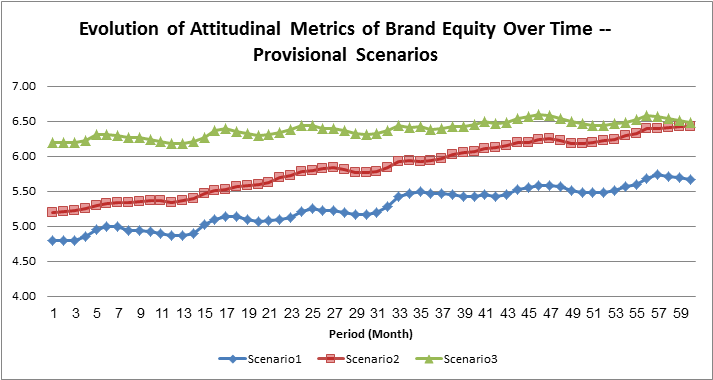 The three scenarios discussed illustrate the different turns that attitudinal measures of brand equity can take, up and down. Furthermore, it should clarify how such scenarios can be associated with different strategies and quality of management, as well as lessons that can be learned from each scenario in order to enhance the brand’s equity. Tracking metrics of brand equity is an essential managerial tool, but the metrics used should be well understood to employ them effectively. Measures should be taken at a reasonable and practical frequency (e.g., quarterly, bi-monthly, monthly). In addition, brand equity metrics should be evaluated for different segments and compared between them, particularly distinguishing between more regular (‘loyal’) brand users and other consumers, or between recognized customers and non-customers of service providers like banks and telecom companies.